B.A. (University of Toronto) 1966; Ph.D. (University of Toronto) 1975; M.Sc. (London School of Economics and Political Science) 1967; LL.B. (University of Western Ontario) 1980; Called to the Bar of Ontario 1982. Colin Campbell was a senior partner in the Toronto office of Davies Ward Phillips & Vineberg LLP until mid-2010, practising in the areas of tax and trusts and estates, including mergers and acquisitions, public securities offerings and restructurings. He also acted for private family enterprises in domestic and international trust matters and has appeared before trial and appellate courts on income tax matters and frequently represented taxpayers with the Canada Revenue Agency and provincial taxation authorities. He received a B.A. in 1966 and a Ph.D. in 1975 from the University of Toronto, an M.Sc. from the London School of Economics and Political Science in 1967 and an LL.B. from the University of Western Ontario in 1980. Dr. Campbell is the author of Administration of Income Tax (Carswell, 2015), a co-author of The Taxation of Corporation Reorganizations (Carswell, second edition, 2012); a contributing author of Timing and Income Taxation (CTF, 2015) and is a contributing editor to the Canada Valuation Service. 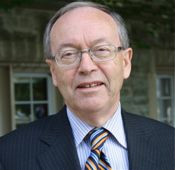 He is also the author (with William Christian) of Parties, Leaders and Ideologies in Canada (McGraw-Hill Ryerson, 1995) and Political Ideologies and the Democratic Ideal (third Canadian edition, 2012) and has contributed articles and book reviews both in law and political science to various publications. From 1971-1976, Dr. Campbell was a lecturer and then an assistant professor of political science at Mount Allison University in Sackville, New Brunswick, teaching primarily in the area of Canadian government and politics. He was also an adjunct faculty member at the Faculty of Law, University of Western Ontario during 2000-2009, teaching international tax law. Member, Editorial Board (and contributor) Ward's Tax Law and Planning, Toronto: Carswell, 1983-1995. Administration of Income Tax 2012, Toronto: Carswell, 2012. Taxation of Corporate Reorganizations, second edition (with S. Monaghan, R. Juneja and P. Lamarre), Carswell, 2012. Political Parties and Ideologies in Canada, (with W.E. Christian), Toronto: McGraw-Hill Ryerson (first edition, 1974; second edition, 1982; third edition, 1990). Parties, Leaders and Ideologies in Canada, (with W.E. Christian) Toronto: McGraw-Hill Ryerson, 1996. Canadian Political Facts 1945-76, Toronto: Methuen, 1977. Political Ideologies and the Democratic Ideal, (with T. Ball, R. Dagger & W.E. Christian), 3rd Canadian edition, Toronto: Pearson, 2012. "Political Parties and Ideologies in Canada", (with W.E. Christian), in Gagnon and Tanguay (eds. ), Canadian Parties in Transition, Nelson, Toronto, 1988 at pp. 45-63. "The Ideological Tradition in Canadian Politics", (with W.E. Christian), in Paul Fox and Graham White (eds.) Politics: Canada, 7th edition, Toronto, 1991 at pp. 286-196. "Populism and the Canadian Ideological Tradition", (with W.E. Christian), in Paul Fox and Graham White (eds.) Politics: Canada, 8th edition, Toronto, 1995. "William Jones", Biographical Dictionary of Modern British Radicals, Vol. 1, Harvester Press, 1978. "Transfer Pricing Between Members of an International Corporate Group: A Canadian Perspective" (with D.A. Ward), International Business Law Journal, 1994:2, at pp. 256-259. "Directors and Officers Liability under the Income Tax Act and Other Taxing Statutes", paper presented to Canadian Institute Conference, June 1995. "Back to the Future: Is it Time to Put Revenue Canada Into Commission?" (with M.Y. Berry), Canadian Tax Journal (1995), 43:6, pp. 1901-1915. "Concerning the Proposed Federal Court – Tax Court Merger", Canadian Tax Journal (1998), 46:1, pp. 228-232. "The Proposed Canada Customs and Revenue Agency", (with M.Y. Berry), Canadian Tax Journal (1998), 46:3, pp. 575-588. "The Future of Canadian Economic Nationalism", British Journal of Canadian Studies 1998 13:1, pp. 97-111. "Application of the Charter to Civil Penalties in the Income Tax Act", Canadian Tax Journal 2002, 50:1, pp. 1-27. "Budget Surplus, Democratic Deficit", Canadian Tax Journal (2002) 50:6, pp. 2029-2037. "Catch 22: A Principled Basis for the Settlement of Tax Appeals" (with D. Sandler), Canadian Tax Journal (2009) 57:4, pp. 762-786. "Liability for The Tax on SIFT Partnerships: A Rejoinder", Canadian Tax Journal (2011) 59:4, pp. 709-29. P.E. Bryden, Planners & Politicians: Liberal Politics and Social Policies, 1957-1968, in Canadian Public Policy, XXV:1, pp. 146-7. W.A. Galston, Kant and the Problem of History, Canadian Journal of Political Science, IX:3, September 1976, p. 515. J. Laxer, The Liberal Idea of Canada, and G. Kariel, Beyond Liberalism: Where Relation Grows, Canadian Journal of Political Science, XI:2 June 1978, pp. 456-7. William Kaplan, Canadian Maverick: The Life and Times of Ivan C. Rand, The British Journal of Canadian Studies, volume 22:2 (2010). Robert J. Sharpe, The Last Day, The Last Hour. The Currie Libel Trial, The British Journal of Canadian Studies, volume 24:1 (2011). William Leiss, C.B. Macpherson, The British Journal of Canadian Studies, volume 24:1 (2011). Robert A. Wardhaugh, Behind the Scenes: The Life and Times of William Clifford Clark, British Journal of Canadian Studies, volume 24:2 (2011). John Nelson Rickard, The Politics of Command: General A.G.L. McNaughton and the Canadian Army, 1939-1943, British Journal of Canadian Studies, volume 25:1 (2012). Jonathan Vance, Maple Leaf Empire: Canada, Britain and Two World Wars, British Journal of Canadian Studies, volume 25:2 (2012). Patrice Dutil and David MacKenzie, Canada 1911. The Decisive Election That Shaped the Country, British Journal of Canadian Studies, volume 25:2 (2012).